due to lack of support. We extend our heartfelt thanks to all persons who regularly attended and supported us - we've really loved meeting you each week and, to all of you stalwart supporters, we do sincerely apologise for having to close but, unfortunately, the lack of commitment by "occassional" stallholders who say they'll "... try us agin when we're a bigger car boot" has left us no choice but to call it a day. The crazy thing is, most of these "non-committed" people have commented that they've sold quite well and think it's a lovely site - it's just not "big enough" for them - but if everyone, who has ever taken a stall here, attended regularly - we'd have a decent turnout of some 50+ stalls every week! It's too late now - we've CLOSED the car boot - but we're OPEN to campers! 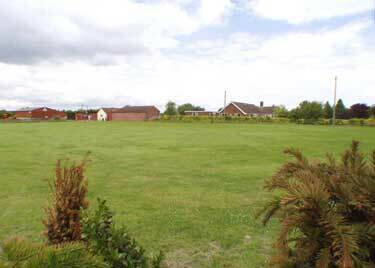 Space for kite flying, ball games etc. Within easy reach of Norwich, Norfolk Broads, the Norfolk Coast, Thetford forest, Go Ape etc. Please Note - we operate a "No Dog" policy on our site at all times - no exceptions.